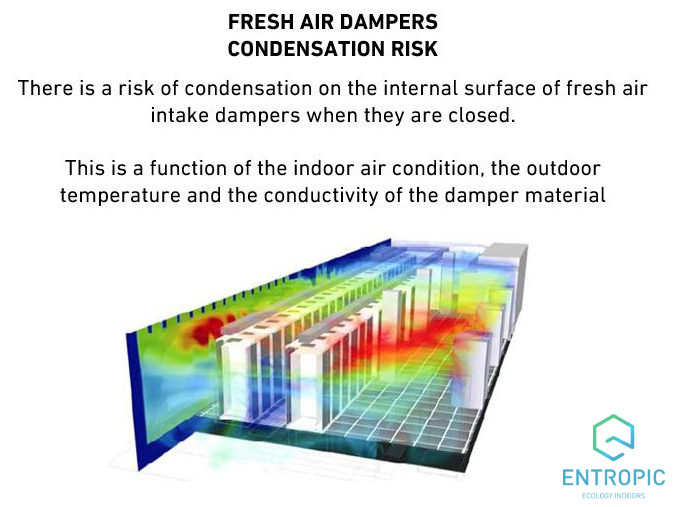 Entropic create cost effective engineered solutions for Data Centre projects where time is at a premium.  Entropic provide ventilation and air conditioning equipment for hyper-scale and collocation data centres throughout Europe. 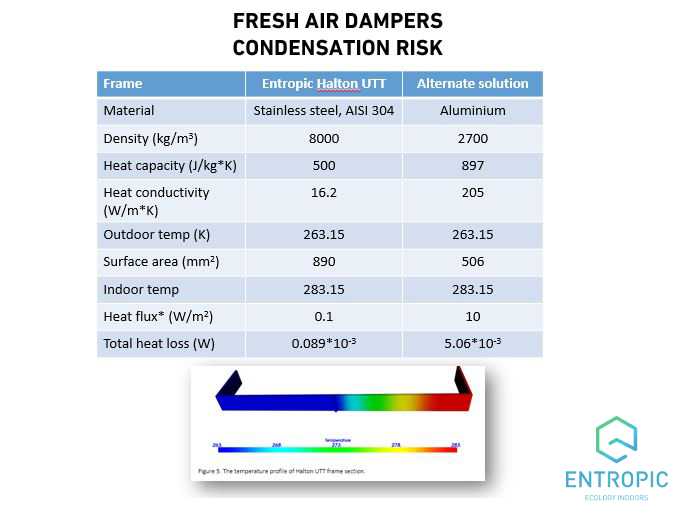 Entropic large format dampers are particularly suited for hyper-scale data centres which require large air flows. With each damper module size available up to 2.4m x 2.4m with a single motor, it is probably the most cost effective solution on the market. The combination of a very large damper module and a single motor optimise installation time, wiring, commissioning and maintenance. 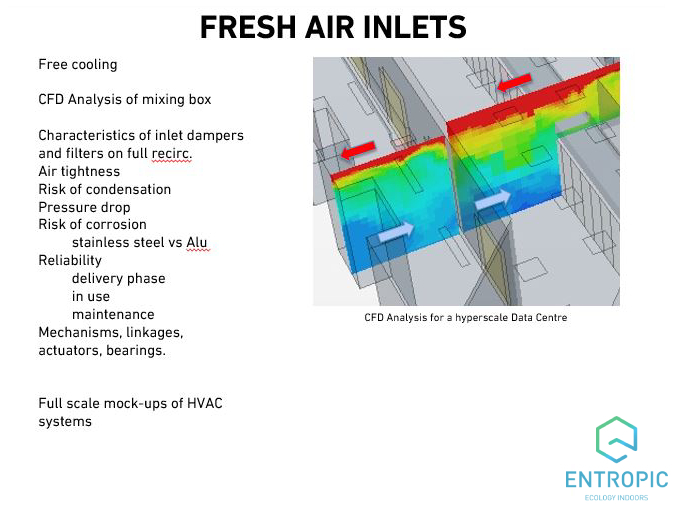 With CRAC units in the space, the fresh air needs to be conditioned. 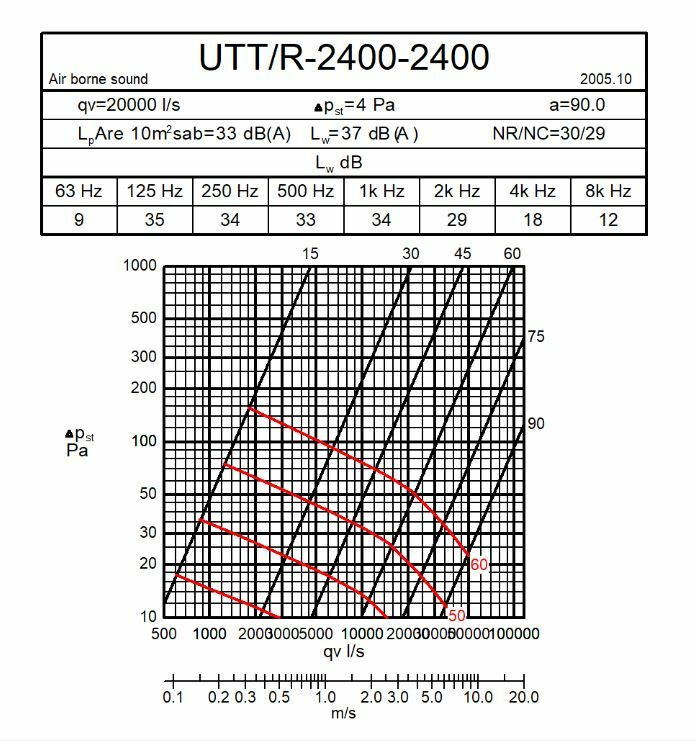 If additional cooling is required this can be a adiabatic cooler, DX or CHW coil. No Additional cooling is required provided the ambient air is lower than the cold aisle (Eg27C cold aisle in Ireland). So no water usage or water treatment is required. 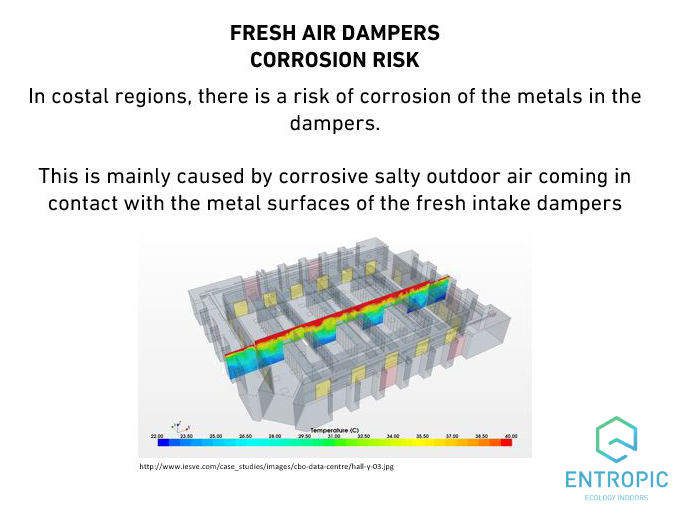 No additional fresh air for pressurisation / ventilation. 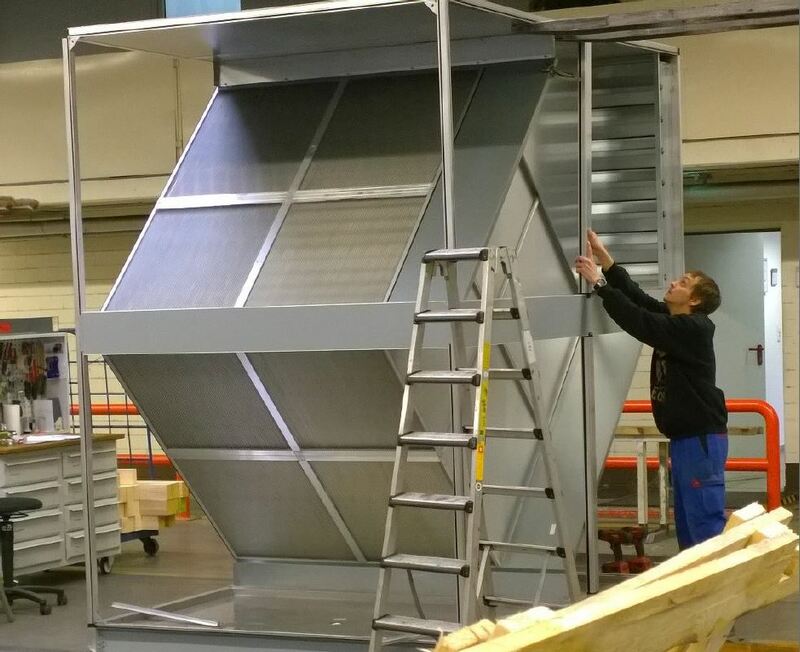 Full recirculation air handling unit(s) with an air to air plate heat exchanger. 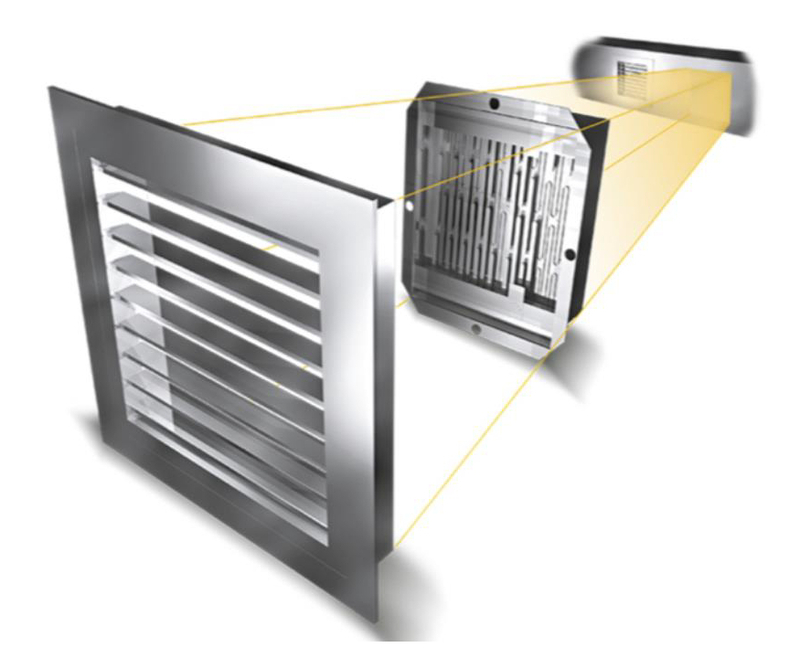 Cooling is achieved by passing fresh air over the plate in a cross flow pattern to dump. Full recirculation air handling units with 2no air to air plate heat exchangers in series. 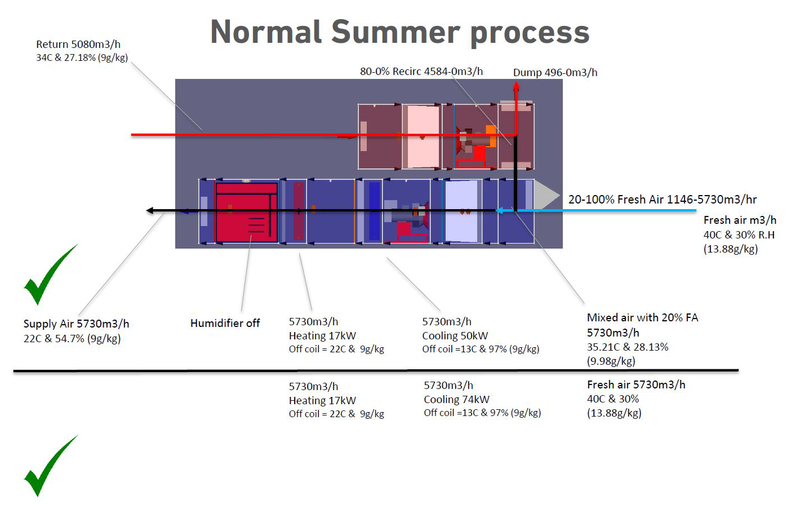 Cooling is achieved by passing fresh air over the 2no plate HXs in a cross flow pattern to dump. 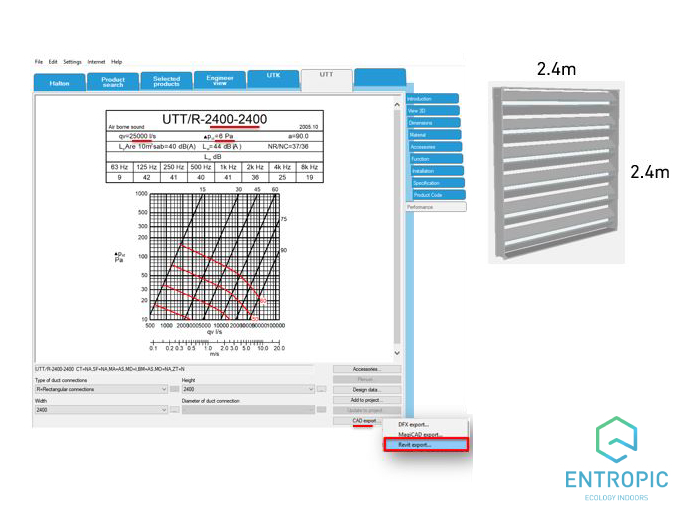 We realise Data Centre projects require speedy solutions and revisions to bring the design to a close. 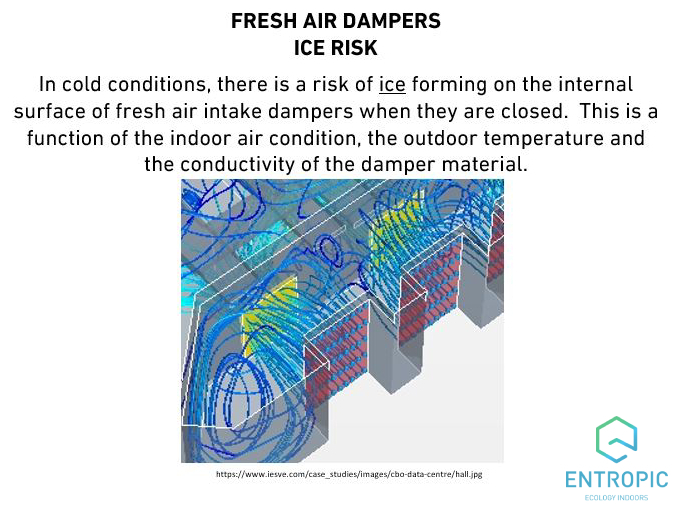 If you have any queries regarding Data Centre environmental design, Entropic can assist you in achieving a cost effective engineered solution. 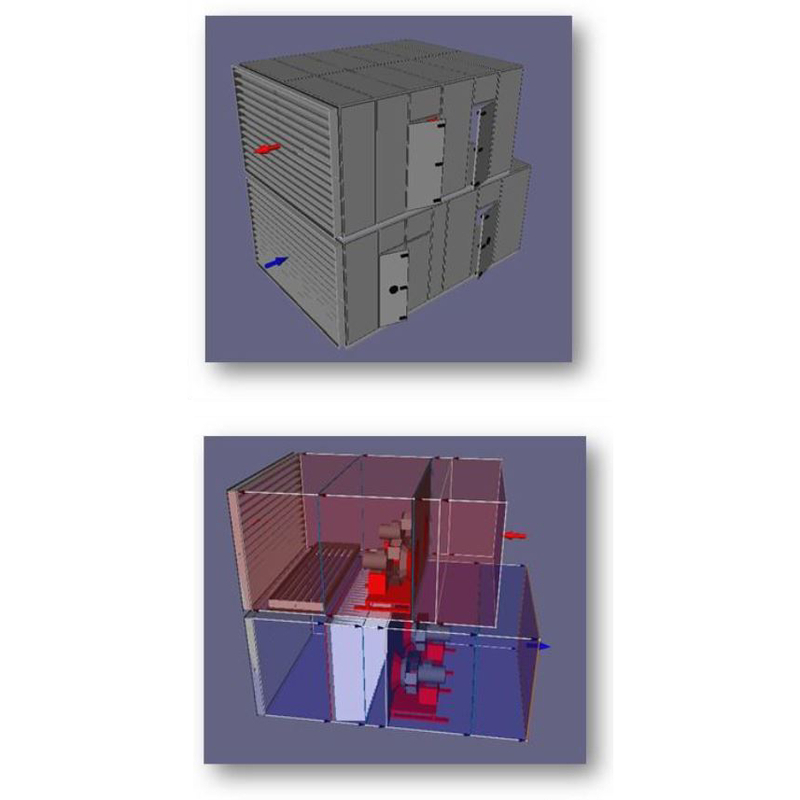 Check our Data Centre case studies by clicking on the button below.